If you are not a UK healthcare professional, please click here to return to the public section of the website. What do Hydromol products do? Hydromol products all contain emollients. These are moisturising oils that help to form a protective barrier on your skin, helping to restore your skin's own natural defences. This protective barrier works to keep moisture in, and irritants out. Hydromol Cream is a humectant cream and works in two ways. It contains a unique hydrating ingredient, sodium pyrrolidone carboxylate, which penetrates the skin and attracts moisture to it. This helps moisturise the skin from the inside. In addition, Hydromol Cream leaves a fine oil-based layer on your skin that helps keep this moisture in. Hydromol Cream is unfragranced. Humectant - a substance that promotes retention of moisture. Hydromol Bath & Shower Emollient also works in two ways. First, it replaces traditional soaps, shower gels and bubble baths, all of which contain detergents which can irritate dry or damaged skin. Secondly, it leaves a fine layer of emollient on your skin to counteract the skin-drying effect of the water. 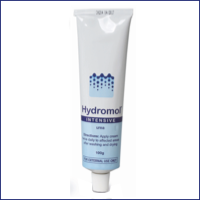 Hydromol Ointment is a highly occlusive emollient, trapping moisture in the skin. It contains no fragrances, colour or preservatives which can irritate particularly sensitive skins and does not contain Soduim Lauryl Sulphate. This may be useful if your skin is particularly sensitive to this ingredient. Occlusive - a substance that helps prevent water loss from the skin through evaporation. 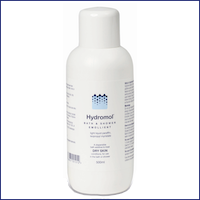 Hydromol Intensive is used to relieve the discomfort of clinically dry skin conditions. It contains a high concentration of urea which is a natural component of the skin's own Natural Moisturising Factor (NMF). It penetrates the skin and attracts moisture to itself. This helps moisturise the skin from the inside. It also leaves a fine oil base layer on your skin that helps keep the moisture in. 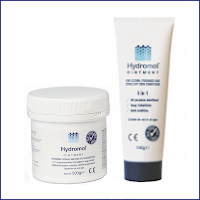 The Hydromol range has different products for indications including dry skin, eczema and icthyosis. 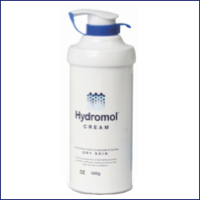 Find out more about dry skin conditions and eczema, and how Hydromol can help.